Business to consumer (B2C) marketing can involve a lot of trendy techniques that claim to provide amazing success for online businesses. When looking for the best B2C blogging companies you need to find firms that move beyond the trends and into real results. Consumer based marketing experience – look for a blogging company that has experience with consumer marketing. With the right amount of experience the firm will know what works and what does not with online consumers. Strong content generation capabilities – your blogging company should have the ability to create interesting content that will attract the right target audience and help to educate and inform while guiding the reader toward your business. Align with business goals – your blogs should work in concert with your other marketing initiatives to help in achieving business goals. Make sure the firm understands how to align blogging with your marketing strategy. 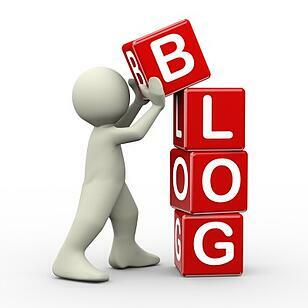 Generates influence – the right blog content will influence readers to take action. This action might be to subscribe to your email newsletter, to provide feedback, to inquire about your products or services, or to participate in a promotion or event. The call to action should mesh with your marketing campaign message. Uses SEO – built into your blog content should be a strong level of search engine optimization (SEO) based on online analytics research. Your blogging company should know how to use the research and provide insights on applying SEO in your blogs. B2C blogging companies should be aware of new trends and technologies but be prudent when making recommendations for your business content. Proven technologies can be highly effective for B2C blogs and help in generating leads and improving sales conversions. For more information please call us directly or click the button below and we will contact you. Thank you.